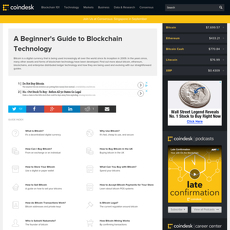 11+ Cryptocurrency and Bitcoin Beginner Guide - Cryptolinks - The World's Best Cryptocurrency Sites List! Just the way, there is a category for professionals, there is also a category for crypto rookies. 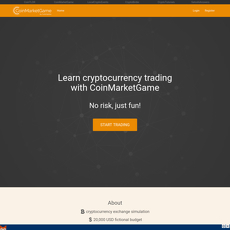 Crypto Beginner consists of sites that have been put together for the purpose of anyone who is new to Blockchain, Bitcoin and cryptocurrencies generally. You don’t even need to have a Bitcoin address or Bitcoin in your wallet or any cryptocurrency at all; all you just need is readiness towards learning. 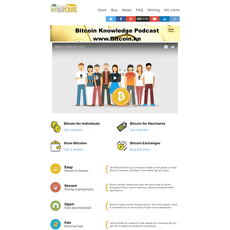 Crypto Beginner consists of many sites that are beginners-friendly and they consist of information (recent or archaic), tutorials, mining pools or software, etc. all into one site. 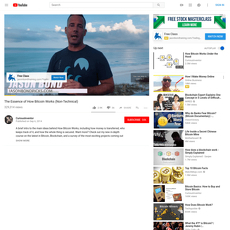 The only people that are allowed to view these sites are people who are new to the crypto world and would love to learn how it works. 11. Devcon2: Ethereum in 25 minutes. 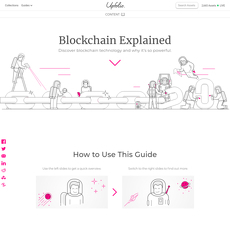 All these Beginner sites listed above are very interesting and they have charts, pictures, diagrams, animated series, videos to support every information provided. 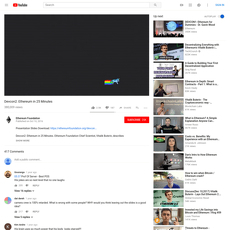 Majority of them talks about Bitcoin, while another talk about cryptocurrencies and a few talks about Ethereum. These 11 sites were selected out of many because of how simplified they are and the kind of information they possess. If the information is wrong, it could totally affect a new user of crypto because he or she only becomes familiar with everything or terms he or she has learnt. One thing you need to figure out when choosing any of these 11 sites is your purpose of studying or learning. If you are learning just because you want to know how cryptocurrencies work generally, you could read through any or all of the sites provided. However, if you are interested in getting started with Bitcoin or Ethereum, pick one or two that best suites you and read through. Also, if you are confused on the type of cryptocurrency you should start with i.e. Bitcoin or Altcoin, you can read or view any 2 different books or sites on the cryptocurrencies and make your judgement. Cryptolinks won’t make decisions for you on this one because you have to find purpose first. Make sure a book or site you are reading or going through has simplified words. Words are very important because they aid easy understanding. 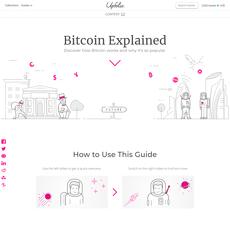 If the words are too complex, it compromises the main essence of being a Crypto Beginner site or book or guide. Words must not be too ambiguous and if there are ambiguous words, make sure the site has simplified meanings available to check through. Also, there are certain terms associated with cryptocurrencies generally, such guide must be able to lead and teach you through them. Suggestions and references are important as well because it increases your knowledge of whatever you have learnt. 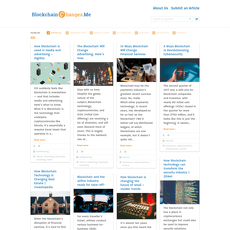 For instance, if you had read about Bitcoin on a site, such site must be able to provide links or references or suggestions to a Bitcoin site where you can implement whatever you have learnt. The true test of learning comes when you know how to execute what you have learnt successfully. Since, it is basically for beginners, charts and videos should be made available for convenience. 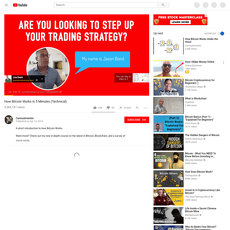 The essence of videos and charts is to aid learning and to make sure beginners can see practically what is being discussed. If there are no charts or videos, then, there should be images or symbols to represent certain events or word respectively. 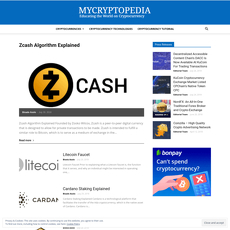 For instance, on Mycryptowikipedia, you are introduced to different symbols for different cryptocurrencies, while on other sites, you can find videos and charts supporting what is being taught. Crypto Beginner sites are very important because it is a way of grooming people to become great users of cryptocurrencies. Anyone who isn’t currently using crypto like Bitcoin for trade will find this very helpful because of the kind of information it possesses and the simplicity of words for easy understanding. In conclusion, all the sites or guides here have their respective pros and cons, you should look out for them before going through them. 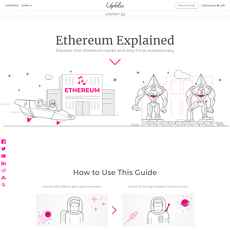 If you feel convinced at what you see and you find the content impactful, then that is a site you should recommend to other people who might be interested in cryptocurrencies.